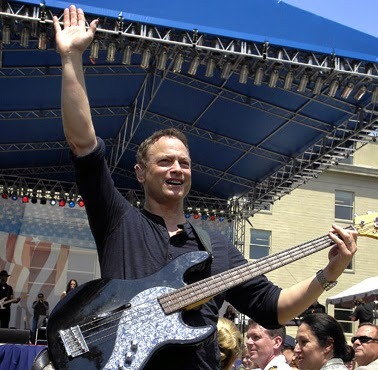 Interview with Gary Sinise - Actor and COOL GUY! I knew about Mr. Sinise from TV and movies, but the thing that made me want to interview him was a show I saw that showed all the cool things he has done for our troops. I have family and friends that have been in the Army and Marines, and I know that what they go through is really hard. Mr. Sinise has dedicated a lot of time to try to make things easier for them. It is SO COOL that he let me interview him! PMAKid: You are pretty famous because of the movies you have been in and your TV show, CSI: NY. I have talked to a few "famous" people, and I like to ask them how they deal with the negative side of being famous. I would bet that it is probably hard for you and your wife and your kids to go to the movies or just go have a pizza, right? Does this bother you? Mr. Sinise: It's really not too much of a problem Julian. Depending on where I might be, people are usually very friendly and respectful of privacy.